A festive annual health fair for the family to learn about the advances in technology and medicine revolving around blood disorders. The Utah Hemophilia Foundation’s Annual Camp Valor represents the foundation for effective life-long management of a bleeding disorder. It is at this camp that children first learn to self-infuse; also, campers learn the basics of self advocacy, allowing them to prepare now to be informed partners with their health care providers in ensuring access to the continuum and quality of care required for the treatment and management of their bleeding disorders. Become a sponsor and play in Utah's premiere charity golf tournament. Help support Utahns with bleeding disorders is as easy as playing 18 holes! Camp Valor is a fun, age-appropriate experience that provides the tools for children to manage their bleeding disorder, gives children the chance to meet other children with bleeding disorders, and provides an outdoor recreational experience under the supervision of trained medical staff. Symposium is an annual community-centered educational event that draws hundreds of members from the bleeding disorders community together to share information, learn new advancements, and build a network of support! Each year, we offer travel scholarships to first time attendees who need financial assistance. 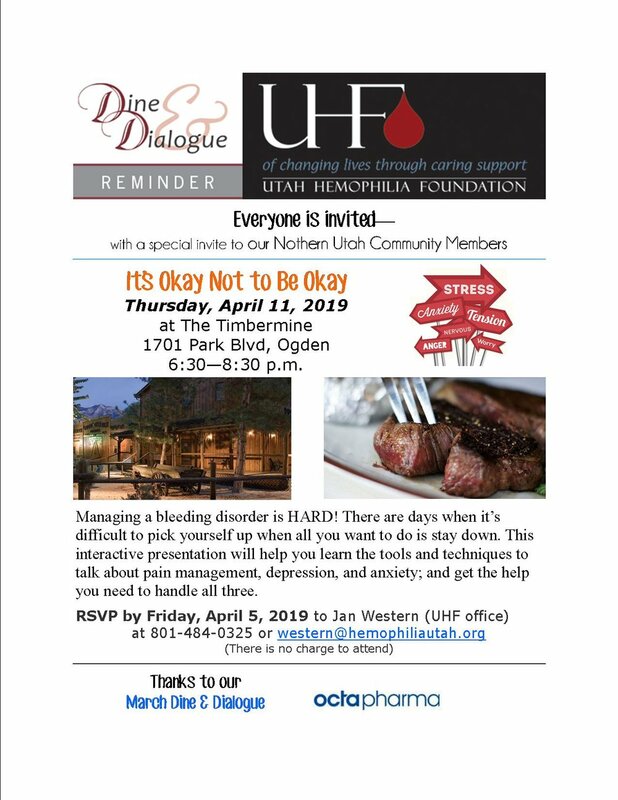 For all women in Utah's bleeding disorders community, ages 12 and older, including: women with von Wellibrand Disease, carriers, moms, wives, and caregivers. Also included with registration: lunch, seated massages & pampering, product information booths, fun swag & prizes. This is a GREAT day for meeting other amazing women, creating new friendships, and building support networks. Don't miss out! This conference only comes once a year. 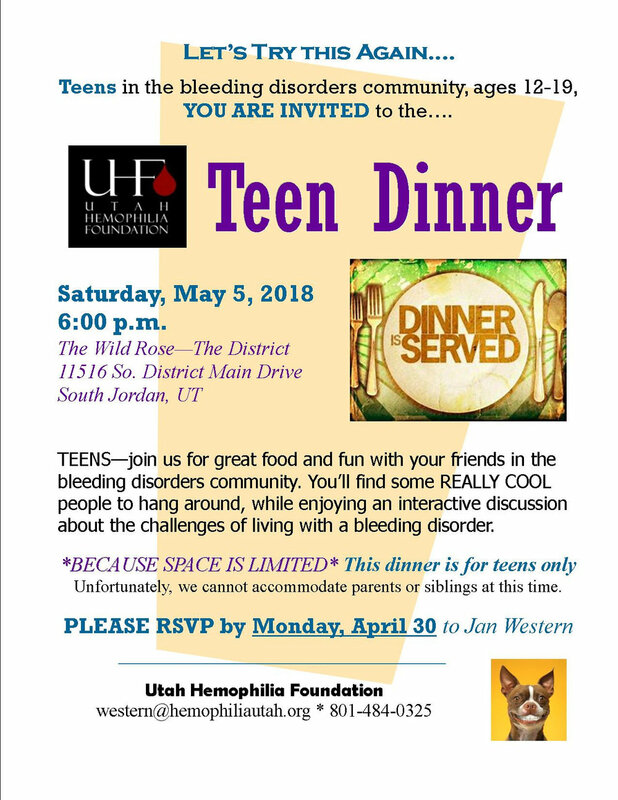 A fun fall social for teens with bleeding disorders allowing them to connect with one another and learn more about managing their bleeding disorders. This two-day Ironman softball tournament fundraiser was named in honor of Wyatt Noorda and coordinated by his parents, Katie and Kevin. This weekend conference for teens with bleeding disorders is a great time to help encourage self-confidence and independence in the management of your bleeding disorder.